Does Every Accident Show Up on Your Driving Record? So you’ve had a little fender bender. 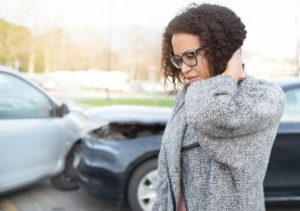 Nothing serious, thankfully, but you may still want to schedule an appointment with a car accident chiropractor in Dallas just to make sure you don’t have any residual aches and pains. The next step would be to figure out how that minor accident will impact your driving record. Here’s the explanation and answer. State laws, and how accidents are recorded on your driving record vary. Generally speaking, however, if the accident you were involved in did not warrant calling the police to the scene in order write up a report or a ticket, then the accident won’t show up on your motor vehicle record. How Are Accidents Noted on My Driving Record? Typically, only accidents that have a police record will be noted on your driving record. There may be a police report that is sent to the DMV—Department of Motor Vehicles—or a ticket that was issued to you because of your role in the accident. Either of these can end up on your driving record. Drivers in a minor fender bender may decide to exchange information and not contact the police. That’s okay, but first check your state’s requirements for accident reports. In cases where there is a fatality, injuries or property damage, many states require filing an accident report. This is mostly done to make sure all drivers involved in the accident have insurance. However, the report may still show up on your driving record. Will an Accident Report Affect your Insurance? The good news is that your automobile insurance company is not likely to contact the DMV about your accident and any claims. However, even if the accident is not on your driving record, any insurance company you do business with in the future may still find out about it. When you submit a claim, your insurance company reports it to property loss databases. Any new insurer you consider will check these loss reports and view your claims history. This is how an accident or any auto insurance claim could affect your future rates. If your rates are raised, then it may be time shop around and compare insurance companies. You may discover that one company charges for a minor accident while another does not. This variance in rates can add up to hundreds of dollars. Dr. Zinovy Chukhman provides personal injury treatment in Dallas. He is trained and experienced in helping people recover from injuries sustained in car accidents. If you need relief, call the office today to schedule an appointment. Comments Off on Does Every Accident Show Up on Your Driving Record?